The vision of COSMA is to be the leader in mission-driven and outcomes-based programmatic accreditation for sport management education for student-oriented institutions of higher education worldwide. COSMA utilizes a distinctly different approach to specialized accreditation in sport management. It uses both characteristics of excellence in sport management education and assessment of educational outcomes as a basis for making accreditation decisions, rather than the prescriptive input standards approach. For COSMA, the measurement and advancement of academic quality focuses on the overall level of performance of the academic unit in the context of its mission and broad-based goals as measured by the degree to which it accomplishes its intended student learning outcomes and operational outcomes. Because of the essential role that educational processes play in determining educational outcomes, COSMA has developed accreditation principles based on best practices in sport management education. These principles promote excellence in sport management education through a benchmarking process, which is helpful in determining whether the sport management program is, or is not, achieving its mission and broad-based goals, and is interpreting the results of the outcomes assessment process. Educational institutions are unique, with differing missions, goals, processes, and intended learning outcomes. COSMA principles assess progress toward excellence, allow for a continuum of accomplishment, and encourage continuous improvement. There is no standard of learning that fits all programs, but there are principles that can apply to all programs. COSMA is committed to a developmental approach to excellence in sport management education. COSMA and its members function in a collaborative and cooperative manner, encouraging each other toward higher levels of quality in sport management education. COSMA is both flexible and innovative in applying its philosophy of accreditation. It recognizes that sport management education exists within a dynamic, complex environment that requires innovative approaches to achieving quality educational outcomes. Membership in COSMA entitles an academic unit to pursue accreditation of their sport management programs. 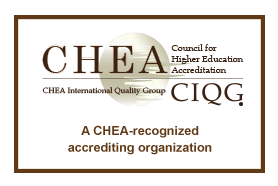 Accredited status is achieved through an intensive process that includes completion of a candidacy program, completion and review of a self-study, site visit by accreditation team, final approval by the COSMA Board of Commissioners and submission of annual reports. Once approved, accredited status is valid for 7 years. COSMA is the only organization offering discipline-specific accreditation in sport management. COSMA is recognized by the Internal Revenue Service as a 501(c)(3) charitable organization.